You get more features but it will cost more money. 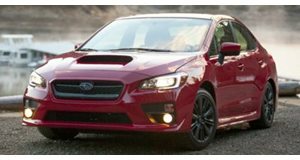 For the 2017 model year, Subaru has given the WRX and STI a multitude of tiny improvements that add up to a huge improvement. The WRX will still come in standard, Premium and Limited trims with prices starting at $26,695. The STI gains exclusive performance upgrades such as Active Torque Vectoring, Multi-Mode Vehicle Dynamics Control and a Brembo brake system for a base price of $35,195. All 2017 models will now be available with standard features that were only available in nicer trim models. These improvements are small but add up to something big. 2017 models will gain standard features like automatic headlights and windshield wipers, automatic one-touch up/down windows, and an upgraded headliner to spruce up the interior. All models will also come standard with Subaru's Starlink infotainment system with a 6.2-inch display. You can also option a navigation system which comes with a 7.0-inch display. Basically, Subaru is appealing to "normal" people who might want a little bit of performance. The WRX and STI have always been built for, well, let's just call them "silly" people. 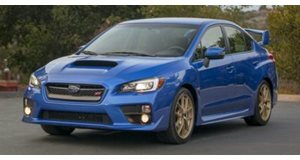 With the most recent version, Subaru has attempted to make the WRX and STI more marketable to its more average customers. The WRX is even available with a CVT gearbox! These latest improvements are another step in making the WRX and STI appeal to normal people. By making the cars safer and more upscale, Subaru is attempting to convince more people that the WRX and, to a lesser extent, the STI, can be normal cars. We like these improvements and hope that Subaru continues to add features to two cars that used to be extremely spartan except for their performance equipment.